New Innova and Used Financing is available. Several types of financing are available. Call the store today to ask about others. 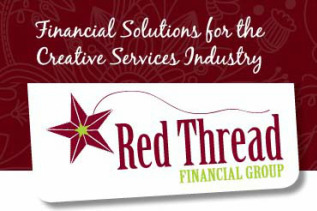 If you are anticipating starting a quilting business and you are interested in financing options, check out Red Threads Financial Group. They specialize in finance programs solely for the quilting and embroidery industries. They provide affordable, easy financing for all types of professional equipment and accessories. If you’ve always dreamed of starting or expanding your quilting or embroidery business, and need to preserve capital, you’ve come to the right place! They can help to get you on your way to creating and selling beautiful masterpieces right away. ACCESS TO EXPERTS IN TODAY’S BUSINESS FINANCING AND EQUIPMENT OPTIONS FOR YOUR BUSINESS.Adia Capital has over 34 years of experience and has established several different payment options to help your business acquire the equipment it needs now with the payment option to better serve your business needs. ​We want to be your finance partner so your business can grow. Save Time! Get pre-approved before you visit the store to shop. I am Jeff Benedict, owner of Accomplish Quilting. My team will work it's hardest to help you get the financing that you need for your quilting machine. We want you to have the machine you love and will do our hardest to make that happen! We want you to be part of the AQ/Innova Family! Do you have questions regarding financing? Please fill out the form below and we will contact you right away!